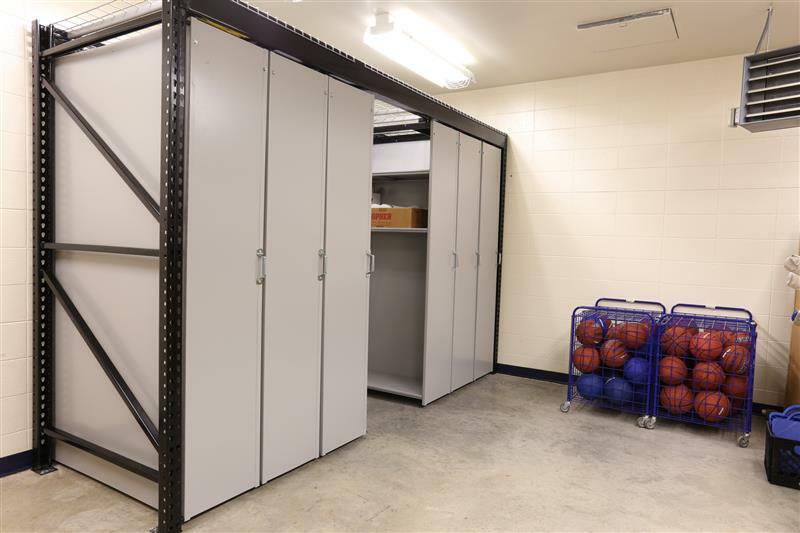 Suspended Mobile Shelving | Donnegan Systems Inc. Suspended Mobile Shelving : Look at shelving from a new angle. The newest way to store and organize your storage room is through rail less, hanging mobile shelving. 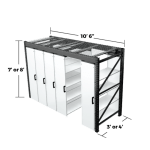 By suspending shelves on an overhead track, the aisles of the system compact to greatly increase the capacity of your storage without expanding the footprint of your space – and without a major construction project. 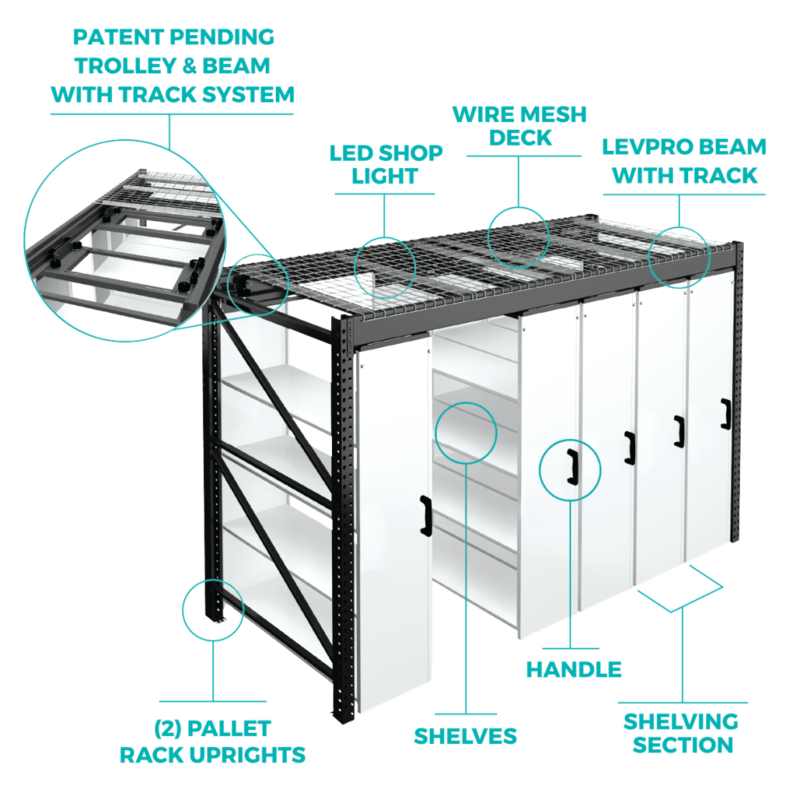 The rail-less design and steel construction make it durable for years of use, while the configurability makes it easy to add onto and relocate. A variety of accessories are available to help you keep your stuff organized, no matter what that stuff may be. No matter what type of environment you work in, chances are you’re always looking for ways to save time, be more productive and organized, and do more with the space you have. 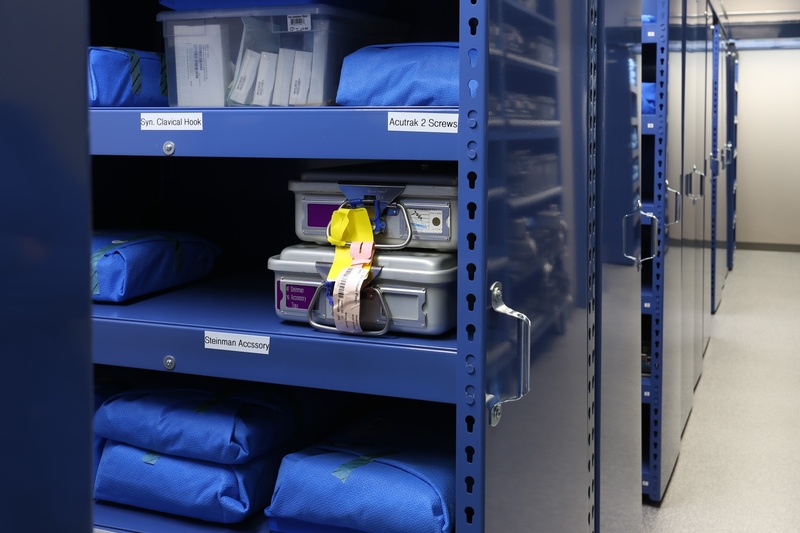 our hanging mobile shelving, LEVPRO, helps you tackle these challenges by making your storage spaces more efficient. We have many size options including custom sizes to ensure you can have the LEVPRO that suits your needs best. This hanging mobile shelving kit is 8 feet in width and compacts your storage space by suspending 4 shelving sections on an overhead track. Slide the shelves open to easily access your items. The mid-sized LEVPRO kit is 10 feet in width. This suspended mobile shelving compacts your storage space by suspending 5 shelving sections on an overhead track. Easily access your items by sliding the shelves. 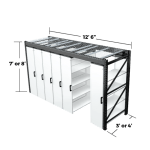 The largest LEVPRO suspended mobile shelving is 12 feet in width to really maximize the capacity in your existing space. 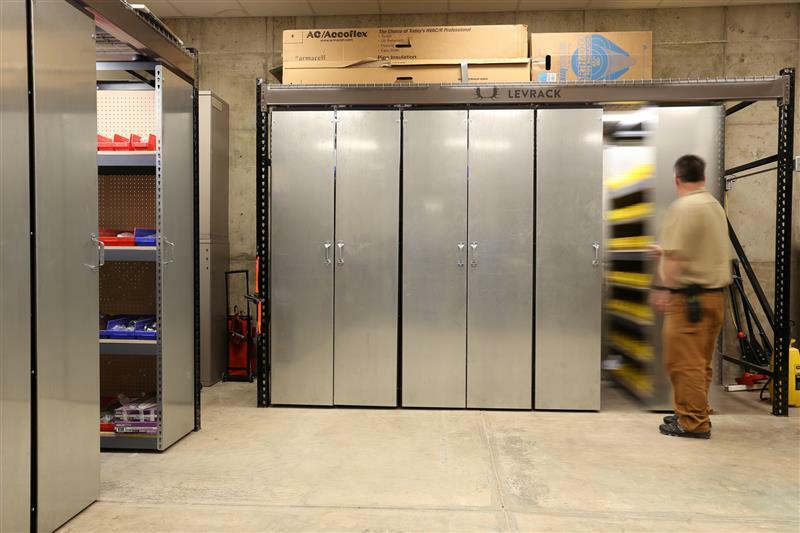 This LEVPRO compacts your storage space by suspending 6 shelving sections on an overhead track. Shelves slide open for easy access to your stored items. 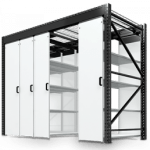 If you are looking for a different length, width, or depth for your space or for what you’re storing we can design a LEVPRO for your specific needs, including the the right shelving and accessories to optimize your space. 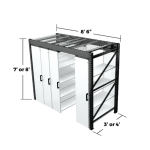 Hanging mobile shelving is the newest way to maximize space and keep your area clean and organized.